Today, marketers and SEO analysts recognize the inherent importance of spreading their brands across the web. As social networks have become such a vital part of our personal and professional lives, you probably already know how powerful YouTube is as a marketing tool. Read on to master your YouTube SEO skills. Did you know that YouTube is the second largest search engine online, followed by Google? Well, according to Google (back in February 2017), users watch an average of one billion hours of video content a day! Very often, companies miss the marketing opportunity hidden behind a simple video. People today are looking for visual content and search engines, especially YouTube, know this. Having said that, it is not enough to just upload video content – it needs to be optimized in order to be easily reached. 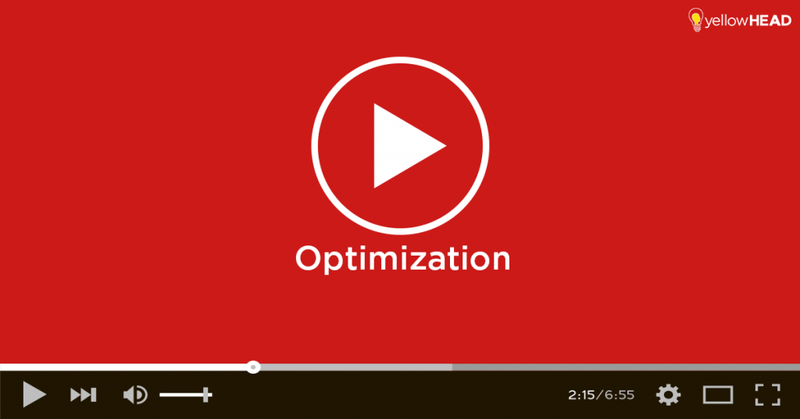 Tune in for our 9 YouTube SEO tips for driving more traffic to your channel. Watch time is one of YouTube’s ranking factors, which means the number of video clicks is less important than the overall time a person watches a video. We can also learn from this that Google prefers longer, engaging videos over shorter ones. Keep this in mind when creating your next YouTube video. Use “Google Trends” to get inspiration for your next video topic. This Google tool lets you explore the trend of a certain search term. You can even filter the platform by a “YouTube Search”. You may also filter by location, time range and categories. The title is one of the first things people see when searching for a video. Therefore, optimizing the title in the best way possible is crucial. Create a captivating title which best describes the content of the video. YouTube will recognize if your title is irrelevant by, among other things, tracking the aforementioned “watch time” – if users reached your video but didn’t stay to watch it – it probably isn’t valuable enough, and the title might not be describing your video in the best way possible. To edit your video title, go to the “Video Manager”, click on “Videos”, click on a video title to edit, choose your title under “Basic info”, then click “Save Changes”. Following the title of a video, the Google algorithm, and users, will review the video description. Unlike in other platforms, it is really easy and useful to utilize this area to promote links. You can basically add anything to the YouTube description. Don’t overdo it though – although YouTube encourages you to use the description part to depict what the video is about, present other means of communication and direct users to your website, it will not tolerate link spamming. Another way of informing YouTube what your video is about is by using tags. You want to be as specific as possible and, at the same time, use tags (or keywords) which are popular. First, use the most obvious tags related to your video. For example, if your video is about funny cats, you would start with the tags “cats” and “funny cats”. Second, use the auto-suggest YouTube search engine. You would now add “funny cats videos” and “funny cats 2019”, depending on what the cats are doing in the video. Third, check out your highly ranked competitor videos to see which tags they are using. Same as with titles, people’s eyes are quickly drawn to the video thumbnail. Even if your video is full of valuable content, if your thumbnail isn’t compelling enough, users just won’t click. Which thumbnail below draws your attention more effectively? Obviously, the second one most likely will lead to more views, even though it exists less time than the first and actually has a less optimized title. YouTube makes it easy for you to choose a leading thumbnail out of three automatic options. In the Video Manager, click “edit”, choose your preferable thumbnail, then click “save”. 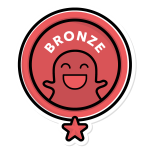 If you have a verified account, you may upload a custom image (up to 2MB). 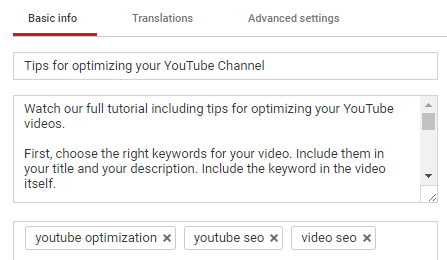 Check out the new transcriptions feature under your channel’s “Creator Studio”. You can turn on community contributions on some or all of your videos. This feature lets your community of viewers translate your video titles, descriptions and subtitles. Adding these features will make your videos more accessible to a larger community of viewers, including hearing impaired and foreign users. Find out more on the YouTube help page. Google encourages YouTube brands to upload content frequently. Meaning – keep your channel alive. To take this a step further, you should organize that uploaded content into specific YouTube playlists (or topics). This will also let users know that you have more info regarding a specific interest, and thus give incentive to stay for the next video in line. Although I am emphasizing the obvious, it is vital to build a strong community of subscribers. Engage your users and encourage them to comment on your videos. Ask questions in the videos, add a “subscribe” button at the end of your video, and make sure to answer any questions your viewers ask in the comments area. A strongly engaged video will not only help build your community, but will also show YouTube that your video content is valuable. Our best advice for driving the most traffic to your video, is to create intuitive, educational, engaging and powerful content. Now that you have followed the above tips for optimizing your YouTube video, be sure to track your channel’s YouTube analytics. Explore watch time, views, likes and comments for each video. Learn about your traffic sources, geographies and genders. Use this info to analyze what works best for your YouTube channel and how you can improve the less popular videos. Have any additional questions about YouTube SEO or other SEO trends for 2019? Contact us!